Kanawayihetaytan Askiy Certificate - "Let Us Take Care of the Land"
Tansi! Many students have studied from their home communities - you can too! When selecting Application Type, make sure you scroll down and select "_Kanawayihetaytan Askiy Cert." The Kanawayihetaytan Askiy (KA) certificate is a program focused on providing a broad range of topic areas specific to the management of lands and resources. The program examines basic environmental, legal and economic aspects of land and resource management in Aboriginal communities. Students will have an opportunity to learn more about Aboriginal rights, strategic planning, land use planning, traditional knowledge, resource management, intellectual property law and project management. The program has over 200 graduates since inception, with students attending from every corner of Canada. The unique delivery model accommodates students offering a blended learning format to accommodate the professional work lives of the students. 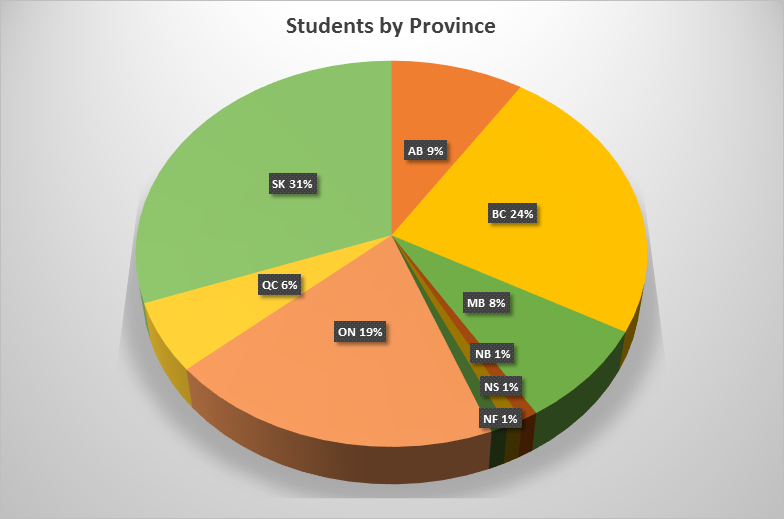 Students will be expected to travel to Saskatoon, at their own expense, three (3) times a year (May, July, January). In addition, students will be provided with a take home final exam to work on while they are back in their home communities for the duration of the course. The Kanawayihetaytan Askiy certificate satisfies post-secondary, level-one requirements of the National Aboriginal Lands Managers Association (NALMA): Professional Lands Management Certification Program (PLMCP), Level Two: Technical Training. Inquiries about PLMCP should be directed to NALMA. Course descriptions and information is available in the course catalogue. Upon completion of the program, all students have completed a research poster. See some examples representing Canada coast-to-coast!